CVViZ is an AI recruiting technology that helps you improve your quality of hiring. Be it high volume hiring or niche hiring, the key is to reach right candidates sooner. CVViZ gives you that edge! Using AI for recruiting you can identify best candidates in the beginning of recruitment and selection process. CVViZ is an AI recruitment tool that provides intelligent automation of recruitment process. 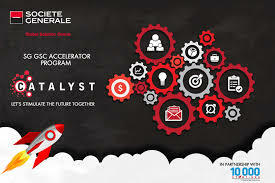 It can also integrate with existing Applicant Tracking System (ATS) to act as an intelligent layer on top of your existing system. CVViZ’s understands resumes contextually. Algorithm built using NLP, machine learning screens and matches resumes to find right candidates for the right job. Why just search for candidates in your resume database when you can also find where they fit best. Automate resume screening using Artificial Intelligence. 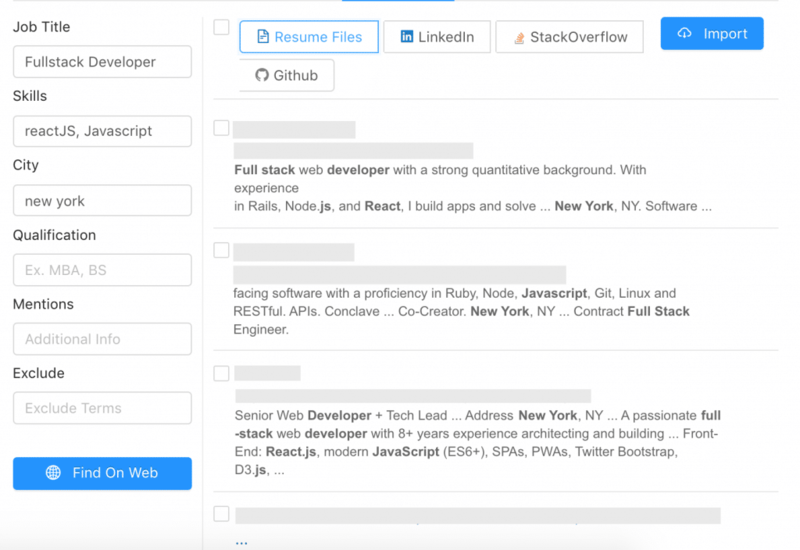 Discover and source best candidates from various social and professional candidate sourcing channels like job boards, LinkedIn, GitHub, StackOverflow instantly. 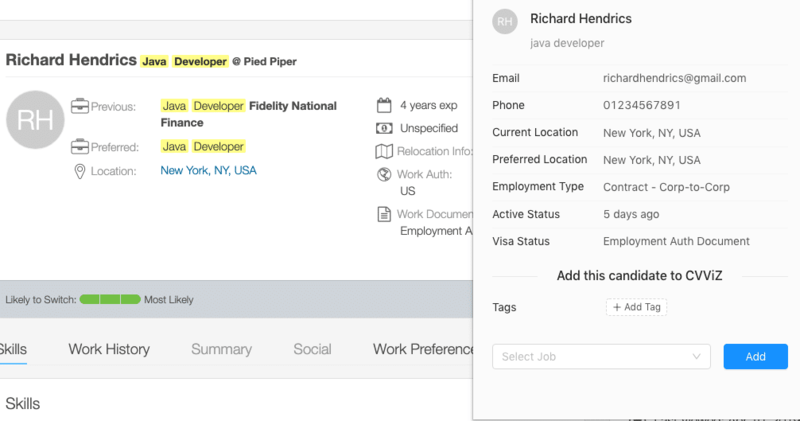 Using Find On Web feature you could import resumes of relevant candidates from social platforms. Intelligent resume screening process will find if they are the best talent for job. Adding candidates to talent pipeline or candidate database has got more simpler. Using CVViZ chrome extension you can directly import candidates from job boards like Dice, Indeed, Monster, etc. Every organization piles up candidate database over the period of time. Using AI for matching and ranking you can mine your existing database efficiently. 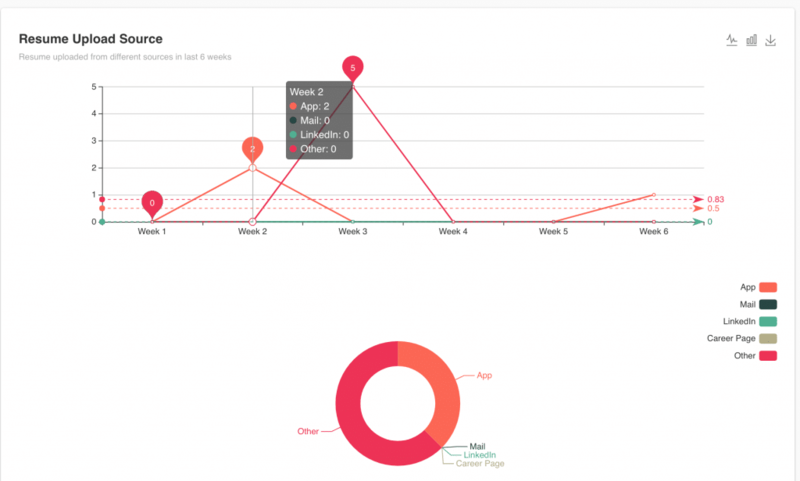 Discover new stories with advanced recruitment analytics. Get insights into various aspects of recruitment such as sourcing, screening, team performance, etc. Recruitment metrics like time to fill, effective candidate sourcing channels, team performance and many more help you optimize your recruitment process. CVViZ is a complete recruitment automation software. 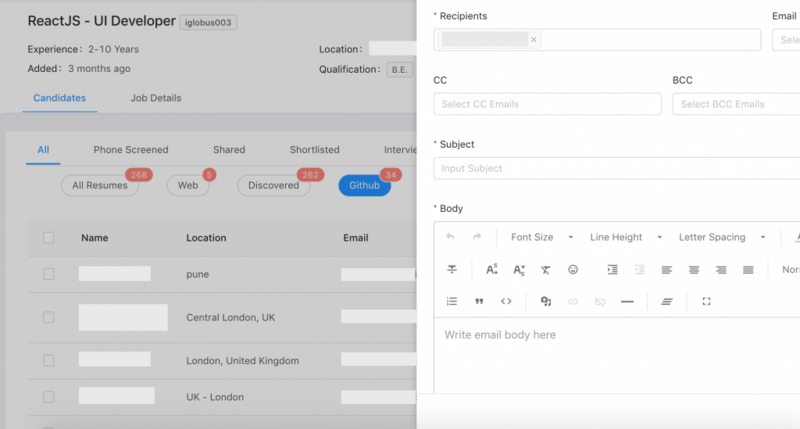 It automates candidate sourcing, candidate screening, candidate engagement. Simple and intuitive user interface of our online recruitment software helps you focus on most important thing, hiring! CVViZ - An AI recruiting software learns from previous recruitment efforts and understands the kind of candidates you engage in hiring process. CVViZ screens your recruitment database and matches resumes to find RIGHT candidates based on its learning from past recruitment process. It then ranks candidates based on past and current learnings. AI recruitment algorithm as learns from past events, it also learns from the current applicants that are being shortlisted or rejected for a job. AI resume screening identifies best candidates. Reach out to these candidates with personalized communication. Share resumes or schedule interviews or conduct video interview with a click of a button.